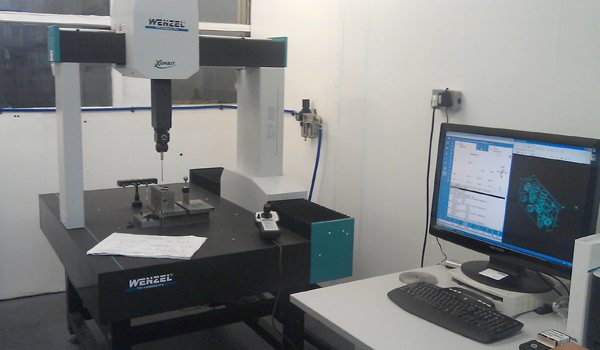 Laystall have just invested heavily in a new CMM (Co-ordinate Measuring Machine), this high-tech equipment is used in a range of manufacturing industries, predominately in the aerospace automotive and medical sectors. Now we are delighted to announce that we are one of the first UK Hydraulic Cylinder manufacturers to have a Wenzel CMM Xorbit, which includes bridge arm with Renishaw probes. This 3 Co-ordinate Measuring Machine is able to move all 3 axes at the time, has a automatic probe changer with a measuring capacity of 500 (x-axes) x 1000 (y-axes) x 500 (z-axes), ideal for measuring port cavities and internal grooves on our in-house production valve blocks.